Today my blog turned 5 years old. It has been such a roller coaster ride, these past 5 years. I changed from not being a writer to a writer, co-authored a book and started my own content writing and editing company. As prompted by Debajyoti, I thought of writing of my blogging journey today. It all started as an experiment, on a lazy weekend with nothing much to do. I was in the UK and was missing my dog and wanted to express it in some form. As a child, I had written a few stories complete with drawings of beggars and in hideous English. These got lost somewhere as I grew up. Later, as a teenager, I started writing a diary everyday describing the events that were happening in my life. It was mostly filled with how my soul was tortured and how difficult life was living with my parents and sisters. I had a laugh riot when I read those entries after a few years and realised that I was such a drama queen. That was my only experience with writing, before I started the blog. I would give all the credit to my dog for turning me into a writer. The first year of blogging taught me to be patient and keep writing. I hardly got any comments and only a few friends read and commented out of loyalty. 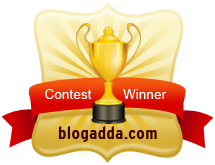 The second year was a bit better, I learnt of Indiblogger and Blogadda, discovered some great blogs and read them with fervour. I picked up tips and tricks on how to write blog posts, overcome writers block and find new topics for blog posts. In 2010, I had a good number of readers and blog friends who read my posts and I read theirs. I took part in Bloggers Premier League on Ginger Chai. It was an exciting time and I feel, I wrote some of my best posts during that time. I returned to India and got the opportunity to co-author a book. And then, life happened. I stopped blogging entirely in 2011 and most of 2012. I took this hiatus for personal reasons, but I had this itch to write, the writing bug had bitten me badly. A friend encouraged me to start writing content for her website as she had read my posts and liked them. She gave me work and I gained a lot of experience. This encouraged me to start my own content writing and editing company. I came back to blogging in 2012. When I returned, I realised that the blogging world is just not what it was any more. Now, there are too many bloggers vying for the same number of readers, competition is cut throat and egos get bruised easily. Many of my old blogging pals have gone on hiatus themselves and there are not too many familiar names. I do feel out of place many times and love it when I come across familiar bloggers. The bottom line is that I love writing and I will keep writing. My posts are from the heart, I write when I am inspired by a subject. One of my posts was inspired by a spider and another one talked only of my eyebrows. I guess you got the drift. I am not a crusader, I leave the slogans and the revolution to other bloggers, who actually do it much better. My posts talk of everyday things. Life inspires me. How has been your blogging journey? I have a similar story. :) I stopped blogging in 2010 and came back in 2012 and the blogging world had changed. I am 3 years old and still learning. . Writers block has been there from the beginning but I keep posting stuff because it helps. . Happy 5th blogiversary! And nice to hear you mention BPL and Ginger Chai :) Last couple of years the blogging scenario has changed or say the blogging circle we knew has changed. Some have quit, some have become silent readers from writers and some still continue. Personally, even I am guilty of not being a regular reader of many of the bloggers whom I knew. Keep blogging. this all sounds so different from my perception of blogging. felt like i was watching an old movie and was trying to figure out how life would have been during that time. i had absolutely no clue about how blogworld was few years ago before i read this post. it was an amazing read! and i love posts on everyday things! btw, the second image is super super cool whoever has created it! I quite enjoyed the (alleged) murder of the spider and your eyebrows. You didn't give a link to the dog that you started you on your blogging journey. 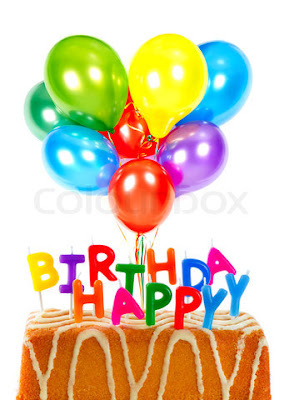 Here is wishing you many, many happy posts! My best wishes on completing five long years here. Yes I feel great to be back...a blog is your personal space where we can write anything and I love this freedom. I keep reading you Nisha :) many times I don't comment as I have nothing to add. Thanks Umashankar...yes, I missed that. Thanks Chowlaji. 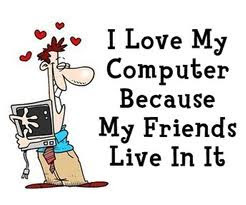 That is nice to know...old blog friends are loyal friends.